The soldiers who arrested Jesus did not know what he looked like. 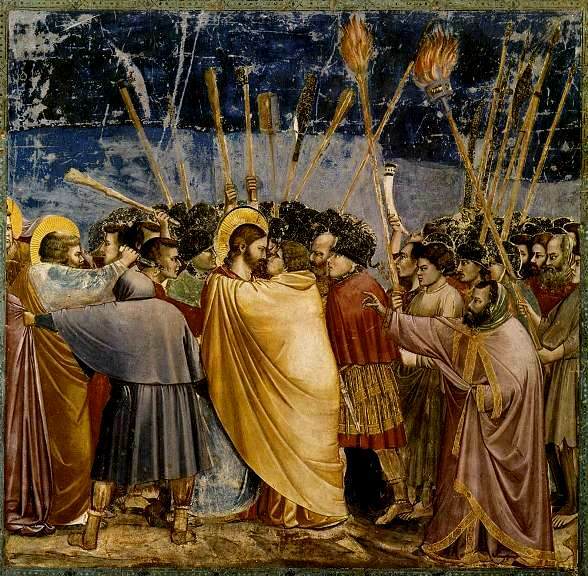 Judas, one of Jesus’ friends, stepped forward, offering to identify Jesus so the soldiers would arrest the right man. 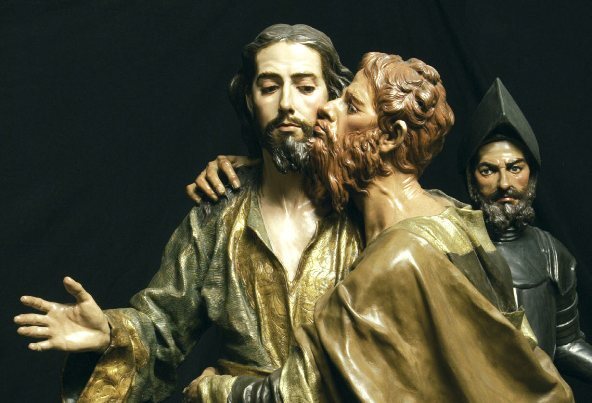 He kissed Jesus, a common form of greeting, as a sign that this was the man they should arrest. 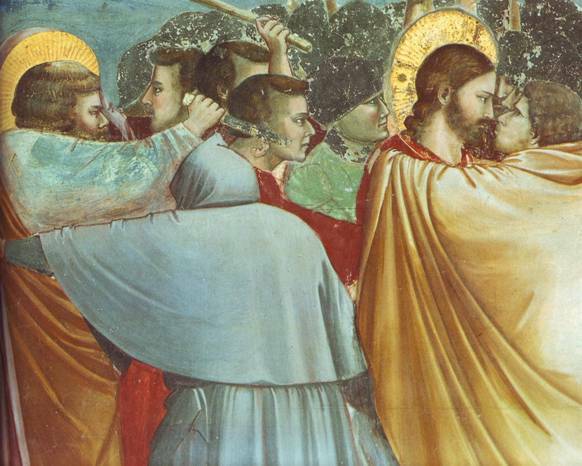 Giotto’s painting of the moment when Jesus is betrayed by Judas is one of the most important masterpieces of Western art. 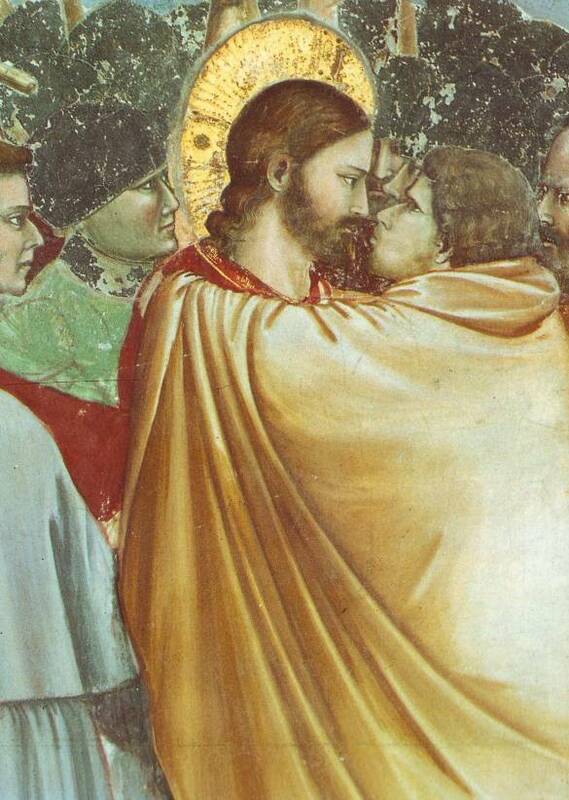 In it, Giotto emphasises the confrontation between Jesus and his former disciple Judas, now turn-coat: Judas looks up at Jesus, and Jesus returns the stare with an unflinching gaze. 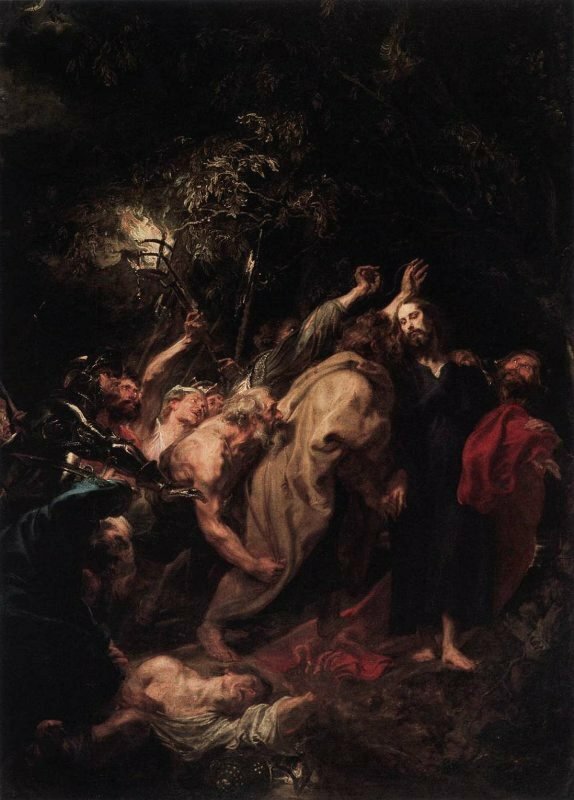 But there is another confrontation going on in the picture, to the left of the figure of Jesus, between Jesus’ most trusted ally and the soldier Malchus. 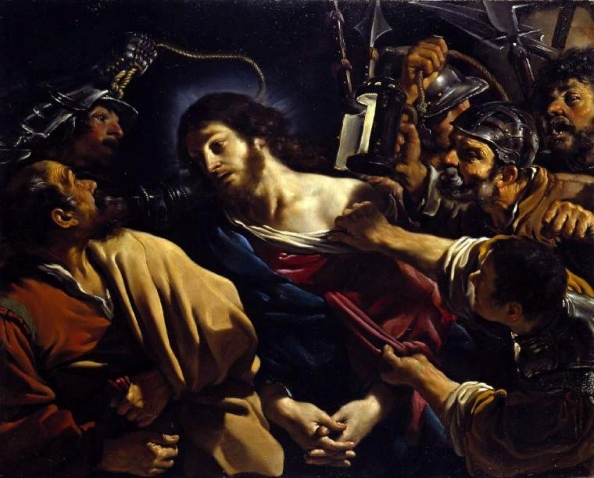 According to scripture, Peter cut off Malchus’ ear in a sudden moment of rage and panic. 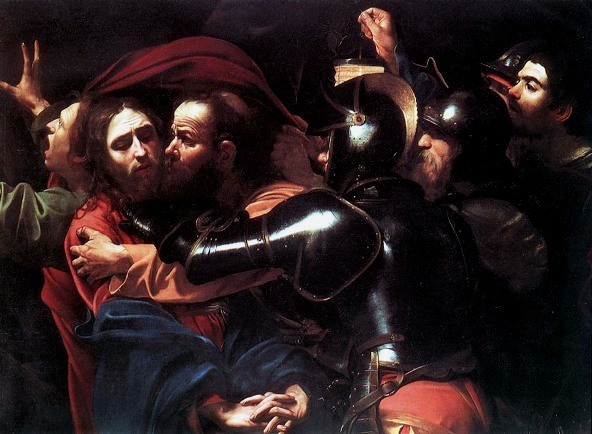 Notice the look of profound grief and disappointment on Jesus’ face; Judas’ bloated, animal-like face and the way his embrace effectively impedes Jesus’ movements; Peter’s short sword/knife as it slices into Malchus’ ear. 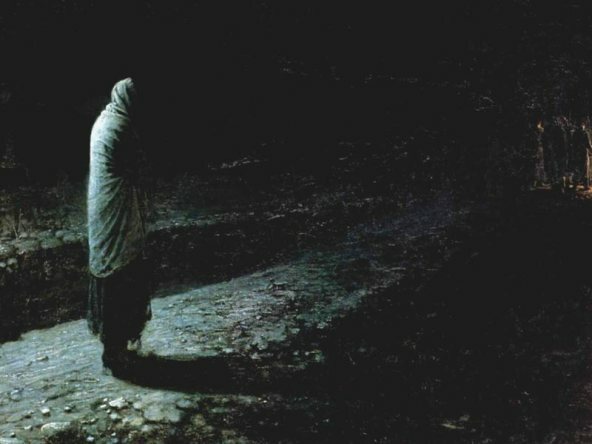 The painting captures a psychologically charged moment when the world paused on its axis.